These socks are warm and add an air of authority when reaping mortal souls across the Discworld. The trousers of time have nothing on these socks of Death! 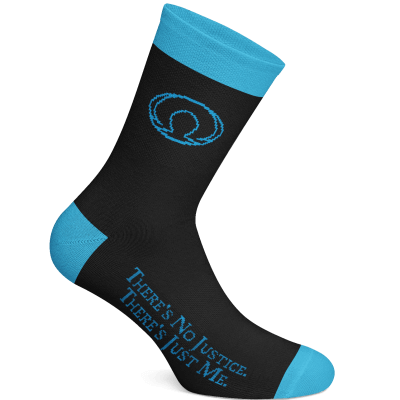 One pair of black socks with Death’s omega symbol and one of His most well-known sayings in electric blue. Your robes fit a treat, you’ve loosened your belt for a feast, your long white beard looks immaculate – but the Eater of Socks has struck again! 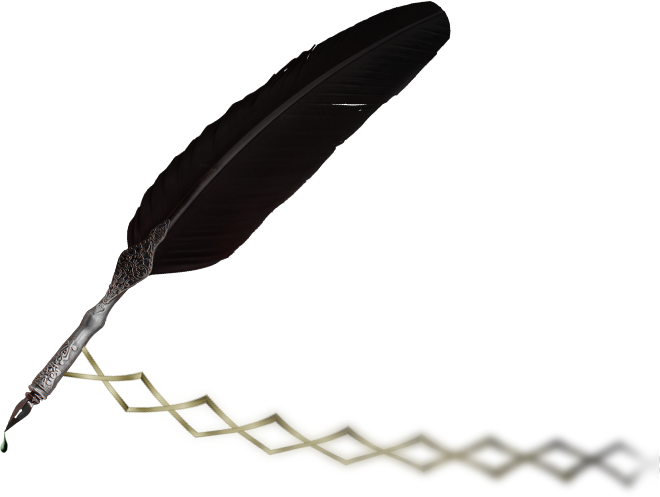 Treat your toes to some fantastical footwear, the safest way to stave off the advances of the verruca gnome. 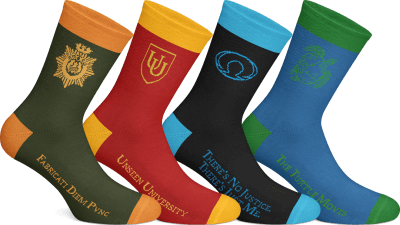 One pair of burgundy socks with the crest and name of Unseen University in yellow gold.